American thrash metal band At War has been redefining the meaning of extreme metal since their founding in 1983. Over the course of the last 35 years, the three-piece thrash band has produced an impressive body of work including three studio albums, a few solid EP releases and a new LP in the works. 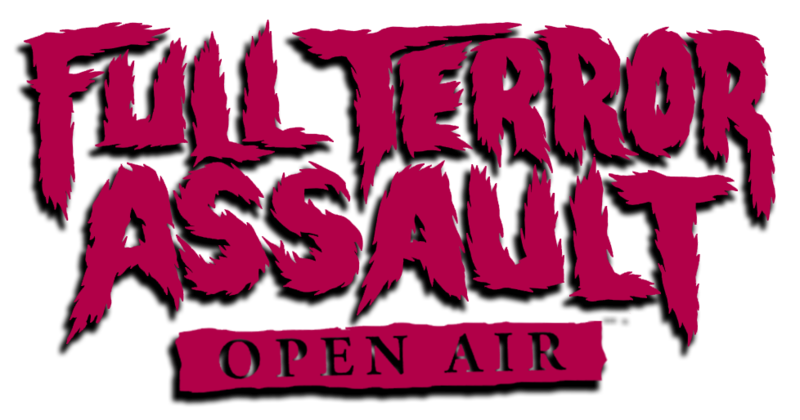 With the fourth run of Full Terror Assault less than a month away, vocalist Paul Arnold spoke with FTA about the band’s contribution to the evolution of metal, At War’s setlist for FTA 2018 and Arnold’s camping essentials for a successful metal festival. This is At War’s first Full Terror Assault appearance. Have you or any of your band members attended FTA before? Paul Arnold: This will be all of At War’s first appearance at FTA. FTA is an extreme metal festival. In a 1988 interview with Demolish, you said that “a three-piece metal band is the heaviest form of a band that you can get.” What makes you one of the heaviest, most extreme acts on this year’s lineup? PA: The definition of what “extreme metal” is is different today than it was in 1988. Metal has evolved into so many different genres now. Since 1988,so many bands took what was the most extreme and there has been a race to see who can out-extreme the last band. At that time, we were and continue to be a band that is in your face with music that transcends definition with speed and heaviness that is still relevant. We are indeed not the most extreme band out there; that was never our goal. I feel if that is your goal, you are misguided. It should be about what you enjoy most to do, and if the public likes it, so be it. It’s about being true to yourself and the music. Anything else is just posing; something At War has never done. At War was on the vanguard of extreme metal in the early days and this is what sets us apart from most. Will you be camping at FTA? What are your essentials for a successful metal camping trip? With 3 albums and a few EP releases under your belt, there’s a lot of material to play at FTA. Any hints about what your setlist will look like? PA: We will be playing so many of the essentials and may even surprise the fans with a new song. At War’s last full-length release was in 2009. Are there plans for a new album any time soon? PA: In fact, there is. We are working on new material right now. What will At War be up to in between now and playing FTA? PA: We are steady rehearsing and writing. See you there!